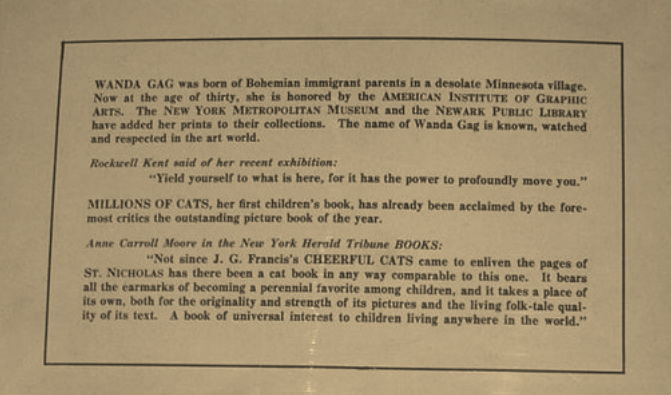 The back dust jacket on second state copies have a one paragraph biography on Wanda Gág, followed by an endorsement of Millions Of Cats by Rockwell Kent. This is followed by a one paragraph review of the book by Anne Carroll Moore. The historical importance of the book is underappreciated by the general public, however, not so within the bibliophile hobby, as the steep market value will attest. Amazingly, the book is still in print today, quite remarkable for a children's picture book! 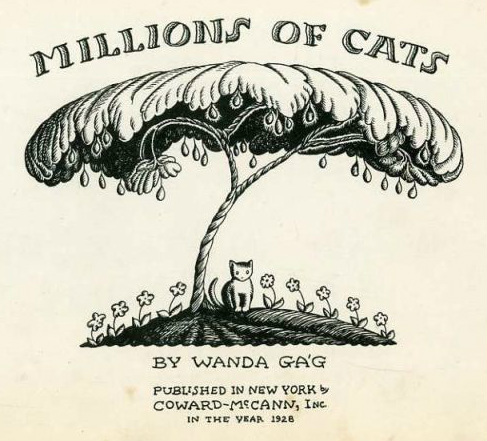 How many other picture books from the 1920’s are still in print today?